The "Flip or Flop" star said she has "nothing but respect" for her fellow home-improvement pro. 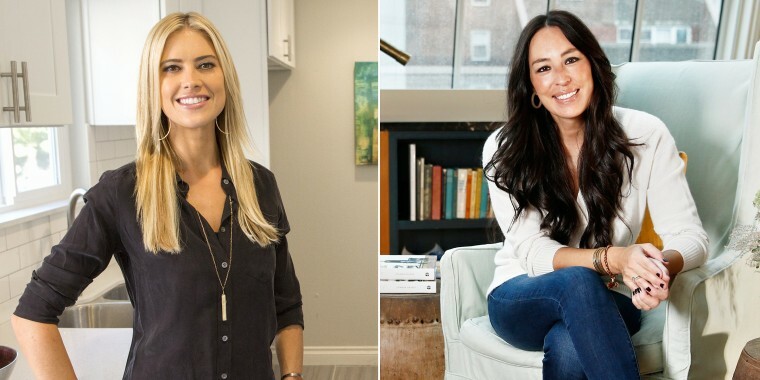 Christina El Moussa says there is no feud between her and former HGTV star Joanna Gaines, no matter what you may have read. "I’ve never commented on a tabloid EVER,'' she wrote in part. "#intouchmagazine this is disgusting. I have always been a huge supporter of female entrepreneurs... #girlboss is my motto. Nothing but respect for @joannagaines ♥️ #goodvibesonly"
The tabloid story surfaced after Gaines and her husband, Chip Gaines, announced they'll be returning to television with their own network. Last year they ended the five-year run of their hit HGTV show "Fixer Upper." The couple, who recently welcomed their fifth child, told Jimmy Fallon in a Nov. 10 appearance on "The Tonight Show" that they would be returning to TV soon. El Moussa is also branching out with a new HGTV series called "Christina on the Coast" that will debut early next year and focus on her Southern California design business as well as her relationship with ex-husband Tarek El Moussa in the wake of their divorce. Glad to see there's no bad blood between two of TODAY's favorites!